Let's get the day started with a bubbling hot cup of Coffee Talk: Sade is going on tour! It will be her first in 10 years and we cannot wait to see what kind of show she puts on! If you haven't already, get in line for tickets. Also, President Obama revealed that he has expanded his playlist to now include Lil Wayne and Nas. And remember when Mariah fell on Monday? It seems she twisted her ankle and was seen arriving in L.A. in a wheelchair. Ladies, have you ever twisted your ankle while wearing heels? 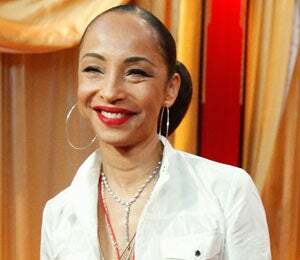 Here's what you had to say: Jima commented via Facebook: "I love Sade! I would not miss her concert for anything!" Abiola wrote via Facebook: "Wow. President Obama is a fan of Lil Wayne. That seems like an unlikely pairing." Let’s get the day started with a bubbling hot cup of Coffee Talk!